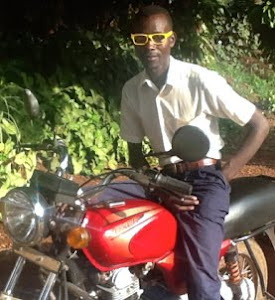 Bodaboda Baby: "If you're not smart you won't get customers." 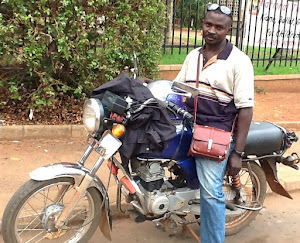 Meet David, an Nsambya boda. "If you're not smart you won't get customers." 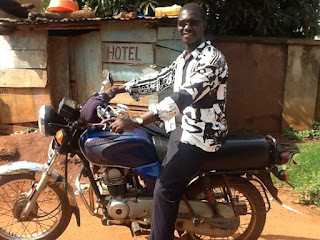 Meet David, an Nsambya boda. Hotel door service from David. 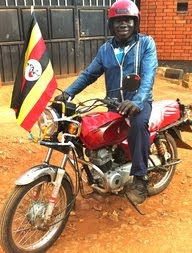 David, 32, has been a boda driver for five years. 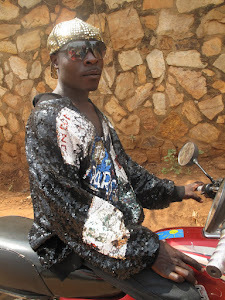 He is Bugandan by tribe and his boda stage is in Nsambya, Kampala. He is currently single but has a four-and-a-half-year-old son who lives with his grandparents. 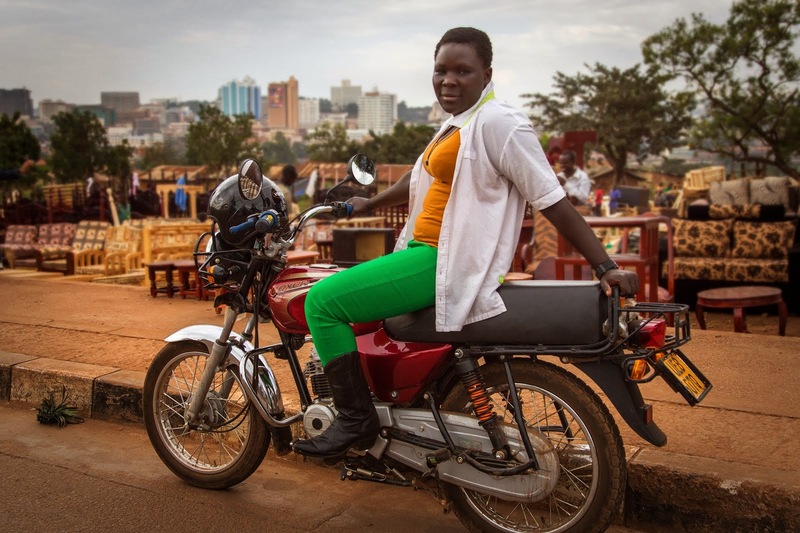 David spoke to me at Cafe Pap on Parliament Avenue, Kampala, one of two "capitals of happiness", coincidentally both in Kampala (but let's face it when you've got a driver around who looks this sharp, is friendly and wears a helmet, there's going to be good times guaranteed). David was slaving away in the kitchen of a Bunga guest house for tourists as a chef - pancakes and "Irish food like mashed potatoes" - when Nathan, a friend he'd studied catering with, told him driving bikes would be a better day job. 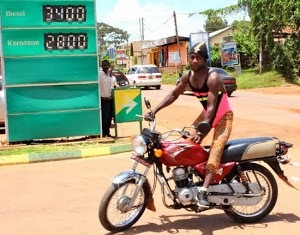 "He told me 'I'm doing the bodaboda. Could you come and join us? '", David recalls. "He took me and showed me the stage. He got me an ID card." David loved being his own boss and soon had a string of clients. "I liked the customers very much because they were sociable to me. They spoke to me," he explains. "They'd give me jobs, get me to take them everywhere. I liked the job very much." At first he was riding an old bike that was "disturbing" him by constantly breaking down. 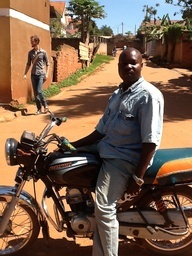 Then a nice lady called Alice, who lives near his stage, loaned David a bike. 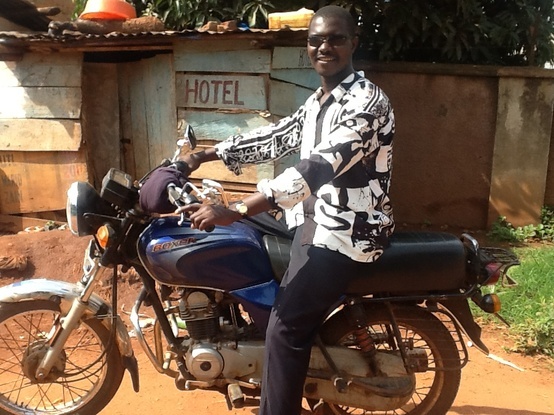 Now making up to 30,000 shillings ($11.13 USD) a day, the boda driver put 60,000 UGX towards the payment every week. 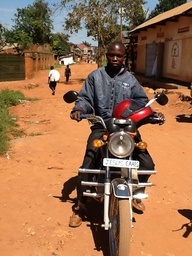 Two years and 5,000,000 UGX later ($1,853), the bike was David's. The customers won't miss Dave when he wears a jacket this colour! 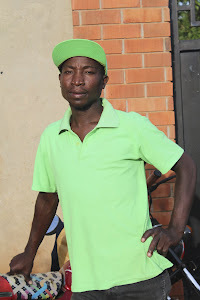 Today he makes between 20,000 and 30,000 UGX a day transporting locals and foreigners, a mix of Indians, Ethiopians, Congolese and other "whites" (including one antipodean, guess who), mainly to nearby Kabalagala for shopping and nightclubbing. On a very good day David can rake in 50,000 UGX. The mornings and evenings are the busiest times; it's the afternoons, when people have gone back to work after their lunch break, that drag on the most. 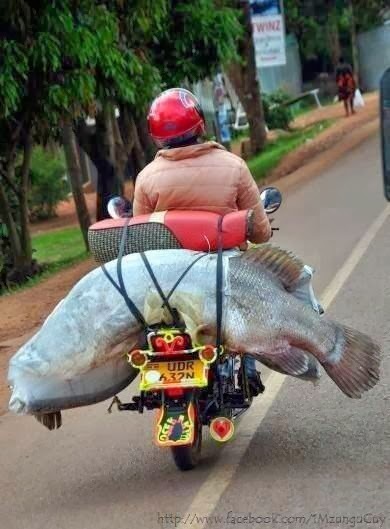 However David always puts away 10,000 UGX at the end of the day. An accident in February, during which his leg was badly injured, meaning he had to take two months off work, made him realise he shouldn't solely limit himself to boda riding to make a living. David went to hospital for treatment after a local woman (NB: local, not yours truly) "sat badly" on a bike and it fell on top of him. 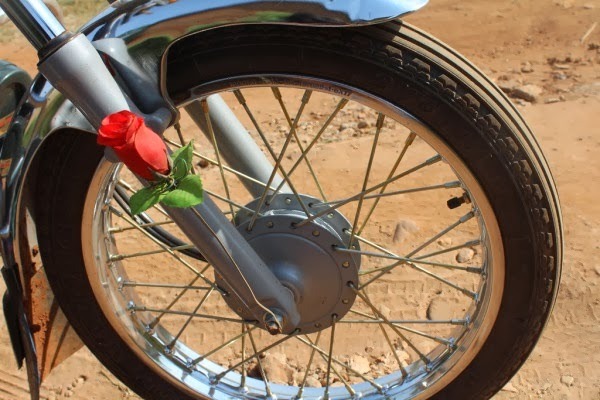 "I think it was her problem because she sat without telling me she was going to sit on a boda and I was not ready," he explains. "I was looking the other way. We fell in a trench. It was me who hurt myself. "I stayed home for two months and life was a bit terrible. It was very, very bad." John, one of David's colleagues, and another regular driver of yours truly. 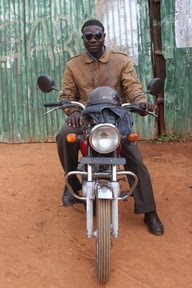 After the incident David started up a garage with some of his savings, selling spare parts for bodas. 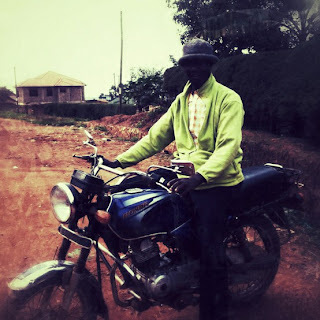 Not only can he earn extra income from this but also help his fellow drivers and friends like Julius, Mubarak, John, Ronnie and Vincent, who he shares a stage with, if their bikes break down. David says his colleagues "get along well", but admits there's competition. "You have to compete. If you don't you won't get money," David says. When it comes down to it though, the gang will stick together. 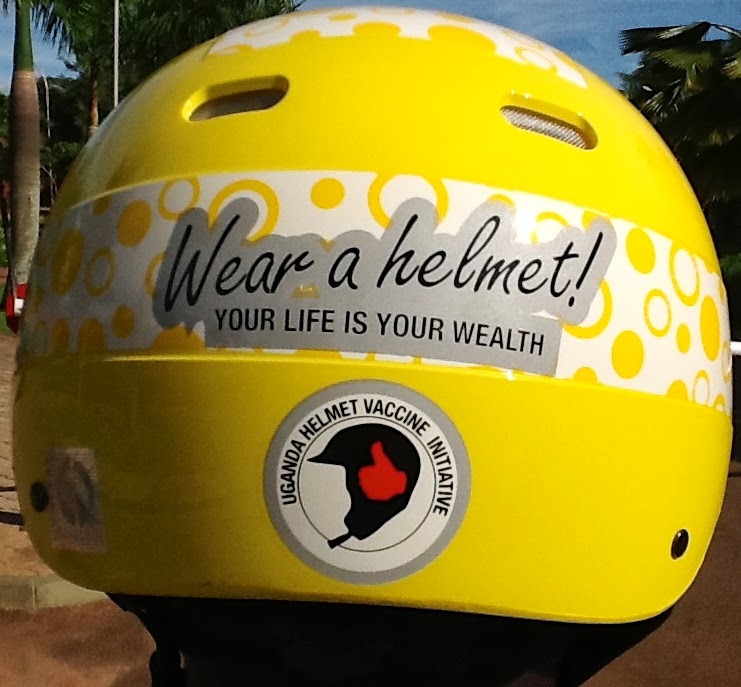 Recently there have been stories in the local papers about boda drivers being robbed and even killed. 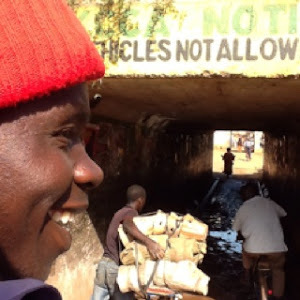 In some parts of the country, David says desperate thieves put chicken wire on the roadside to trap bodas late at night. "Then at night when you come there's no light, it can cut off your head. Mostly they do that in the village. In town it's not common," he says. 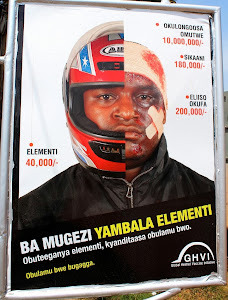 If a boda driver is killed, look out. It's an eye for an eye, a tooth for a tooth. 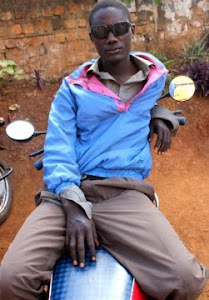 A group of bodas may even go to the perpetrator's village in a desperate attempt to exact revenge. "When they find the robber they will kill him. If they get the robber, most of the time the bodaboda drivers they kill him, because the robbers also kill the bodabodas," David says. 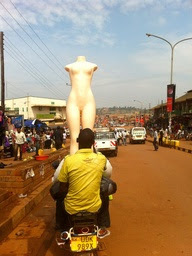 Another regular boda at my stage. Have only used him once or twice but considering that he's called Jesus Cares (see sign on front of bike) maybe I should more. 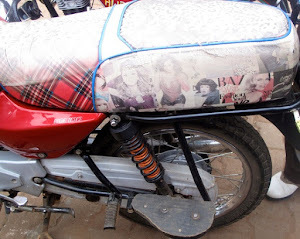 If a boda and another vehicle collide, however, he says the motorcycle will always try to negotiate assertively with the other driver to have him pay for the damaged bike, before resorting to physical violence. "I've never seen anyone beat up," David insists. "One time I saw them about to beat someone up, but the police came. They charged him. 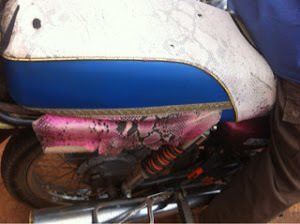 He paid for the damaged bodaboda." "Everyone", that is the mzungu customers and local passengers, receive equal treatment from drivers. 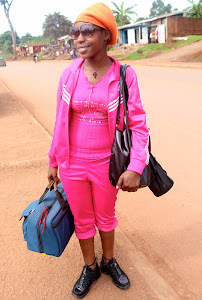 I point out that one day a few months ago one of David's colleagues (he shall remain anonymous) tried to rip me off, demanding more money and following me for the rest of the afternoon when I refused to budge after dropping me off at Kisasi. 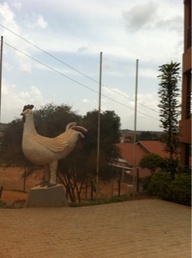 Yours truly was being taken to Kisasi, home to the Big Rooster. 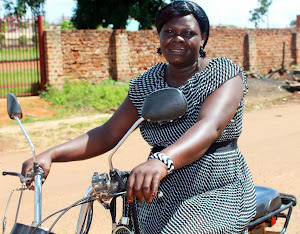 Afterwards a boda driver demanded more money off her and when she wouldn't give in effectively stalked her for the rest of the afternoon, "disturbing" here. Months later it's been revealed there was a problem with the lingo that led to this situation. Who would have thought? But the problem was the language barrier when I negotiated the price, before even putting a leg on the bike, David explains. "He was trying to tell you the amount of money but he doesn't speak English very well. When I went back and told him the problem and talked to him about it he said he was sorry," David surprisingly informs me. "He was upset but he forgot to come and tell you to apologise. He said 'I'm going to be very good with that lady, I'm going to change my way'." David always wears a helmet as "it's useful". 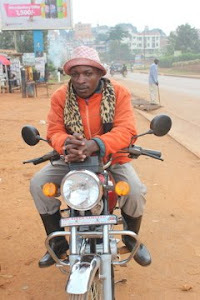 He says that when riders go to apply for permits they're encouraged by the authorities to wear "jackets and sweaters" for protection, but concedes fashion is also important for bodas. 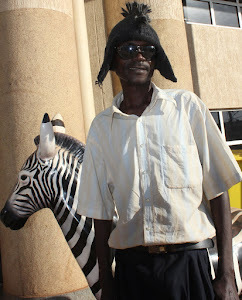 David says he has 20 pieces in his wardrobe, mainly purchases from local Owino market, and swears he never wears the same thing two days in a row. He laughs when I broach the sensitive subject of stinky drivers. "There are those who smell especially those who ride when they're drunk. They don't wash, they don't take care of themselves," he says. "The others are smart, they know what they want. If you know want you want (customers), you have to be very smart. I've been smart from the start, because I know what I want. "If you're not smart, you won't get customers." New Concept fleece from Owino - bought nearly two years ago for 5,000 UGX.